Here at K.S. 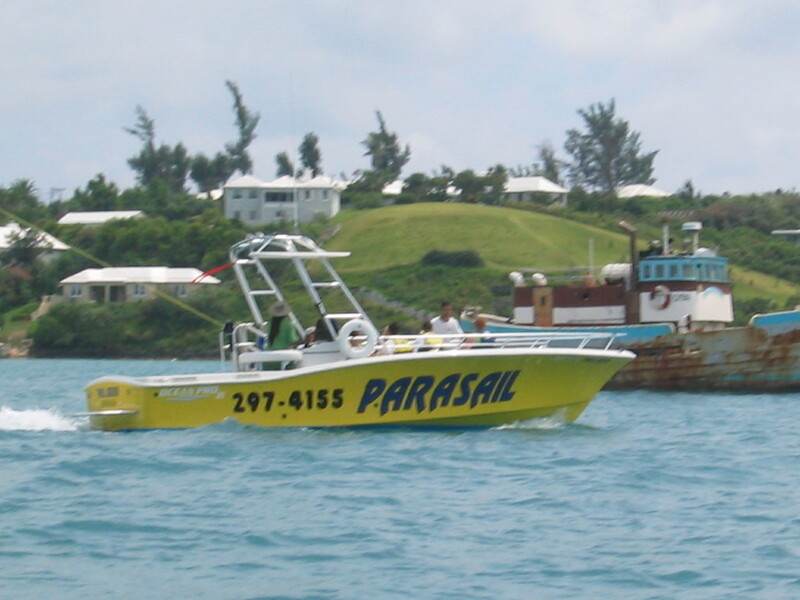 WaterSports we are proud to offer you the very best Jet Ski Adventures & Tours in Bermuda! 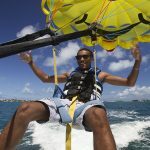 4 Fantastic & Convenient locations to Jet Ski from: Dockyard, Southampton, Hamilton & St. George’s. 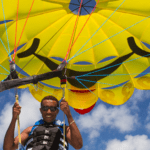 Just Imagine skimming across Bermuda’s turquoise waters, the wind blowing through your hair, while you take in all the beautiful scenery and sites around you. 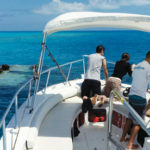 Our Jet Ski Adventures offer you a unique and fun experience which is suitable for persons of all ages and skill levels. Whether you’re a novice or an experienced rider, we have a Jet Ski Adventure that will suit your needs and have you coming back for more! FAST, SAFE, FUN & EASY TO CONTROL! A detailed orientation will be given to all participants on their watercraft, how to ride it safely and properly, and what to expect while out on tour. All safety gear and life jackets are provided, and once the orientation is over then its time to get on your Jet Ski and Ride! 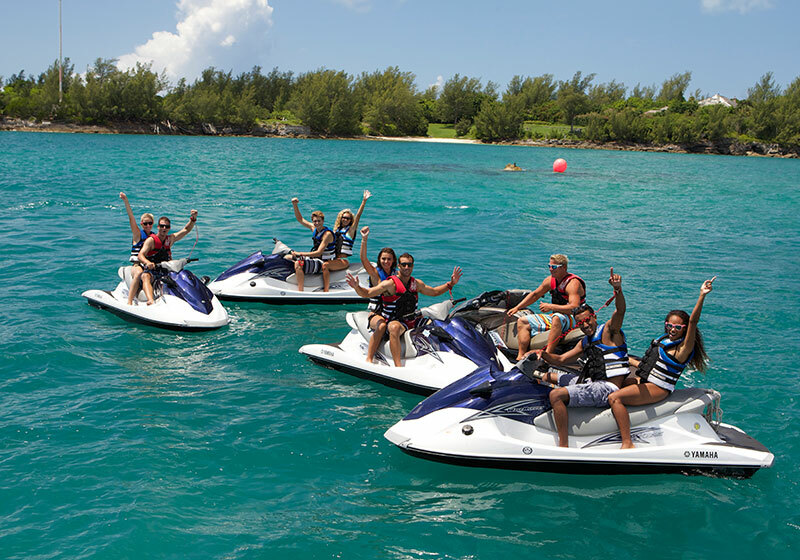 Our Jet Ski Adventures & Tours are rated #1 in Bermuda amongst visitors and locals alike. We offer you more! 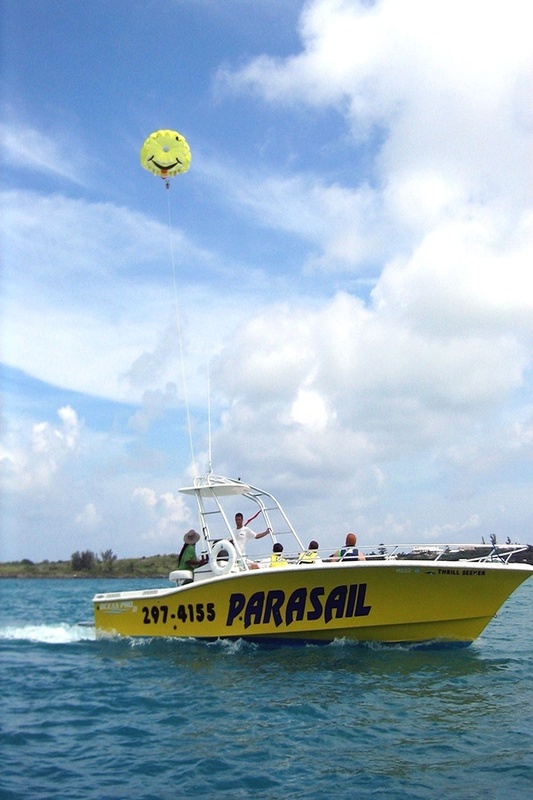 More tour options, more Jet Ski models to choose from, and more time spent out on the water having fun. 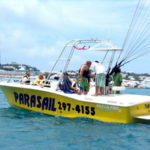 We have many years experience running Jet Ski tours and we know all the best areas and places to take our guests. Our Tour Guides are extremely knowledgable, fun, safe, and will help you every step of the way, plus answer any questions you may have along the way too. 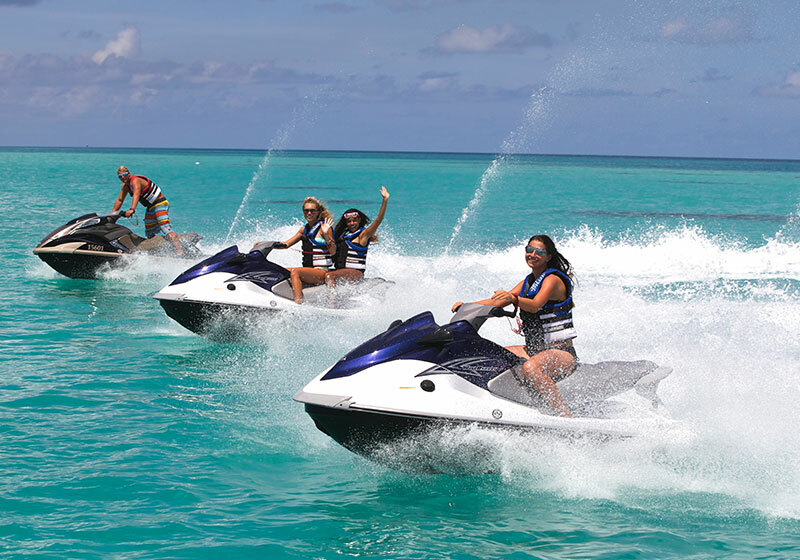 We are the only Jet Ski Rental company that offers over six(6) different Jet Ski tours for you to choose from, departing daily. We have the Best 4 Locations to Jet Ski from! 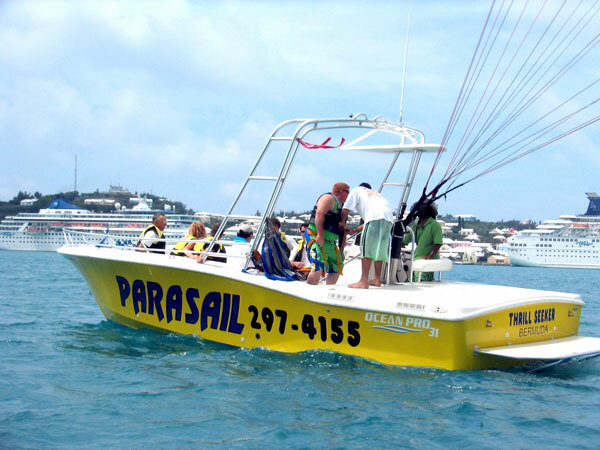 4 convenient locations to Jet Ski from (Dockyard, Southampton, Hamilton & St. George’s), both easy to get to for Cruise Ship Guests and Hotel Guests across the island. See our locations page for details and our FAQ’S section on how to get to our facilities. (Cruise Ship Guests docking at Kings Wharf & Heritage Wharf Cruise Ship Terminals are just two minutes walking distance away from our K.S. WaterSports Dockyard facility. 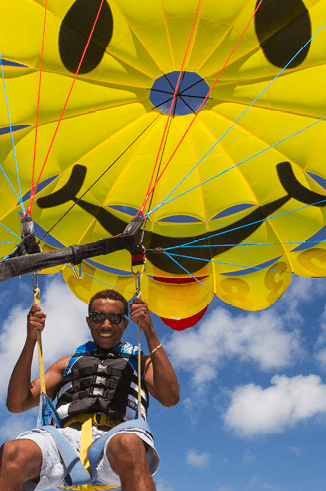 [No transportation, taxi fare, or extra traveling time & costs required for cruise ship guests]. 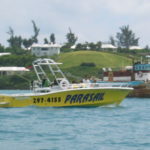 We also have plenty of parking for mopeds, bikes and cars, plus the “Sea Express Fast Ferry” docks near all three of our water sports locations too). Easy and convenient locations plus there’s lots to see and do in Dockyard, Southampton, Hamilton and St. George’s before or after your tour concludes! Quiet and very eco friendly thanks to 4-Stroke engine technology found on all of our Jet Skis. Easy to control, turn and maneuver. Speed that will thrill and is exhilarating! 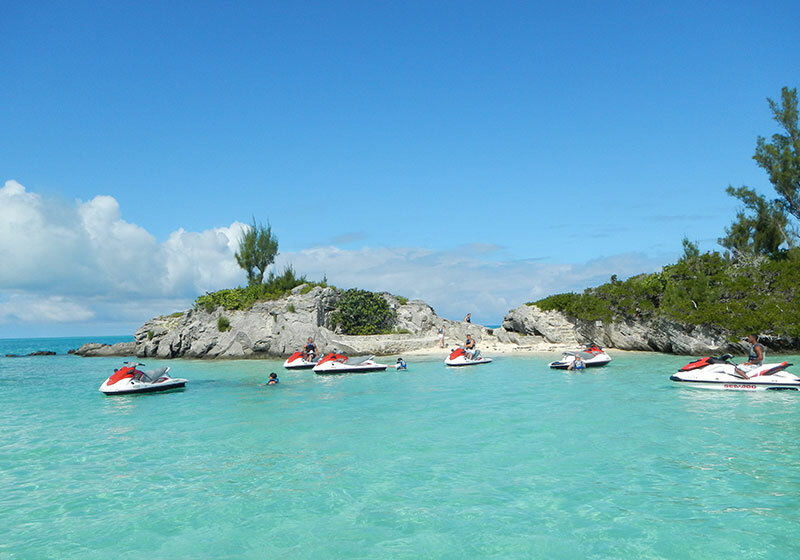 (All our Jet Skis can reach speeds of up to 50mph, which is the maximum speed permitted (by law) for any rental Jet Ski in Bermuda). There is no faster rental! Extended rear boarding platform which makes it much easier to get on and off the Jet Ski from the water. 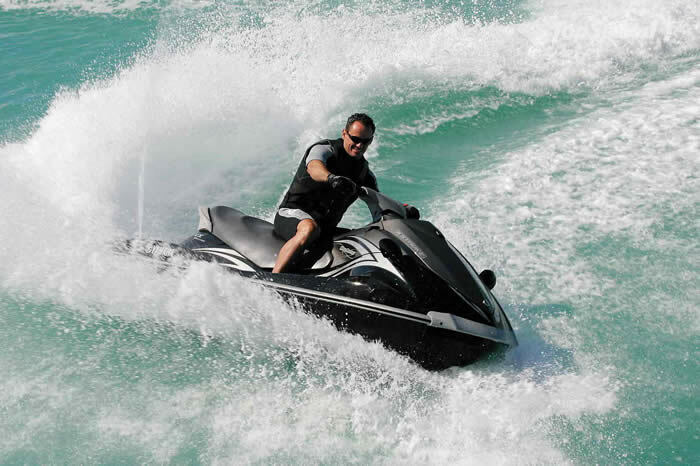 All of our Jet Skis have neutral, braking and reverse gears and include many advance features which will assist you in better handling and maneuvering. Extremely stable and easy to stay up right and balanced thanks to their smart hull technologies and deep V design. Many advanced safety features to keep you safe and comfortable. Our Jet Ski Adventures & Safari’s? 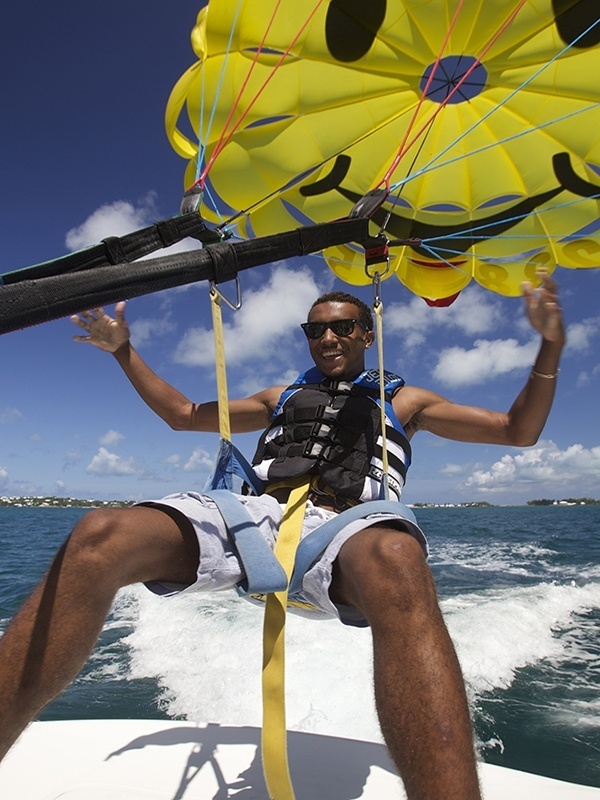 We offer several different types of Jet Ski Adventures & tours which depart from our Dockyard, Southampton, Hamilton and St. George’s locations daily. Our regular Jet Ski Adventures are 75 minutes long and our Jet Ski Safari and Jet Ski & Snorkel Safari tours are 2 hours long or longer. 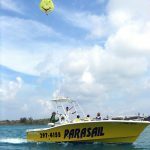 We also offer private and custom 2.5 hour, 3 hour, half day and full day Jet Ski Adventure packages too, for larger groups or parties consisting of two(2) or more Jet Ski’s. 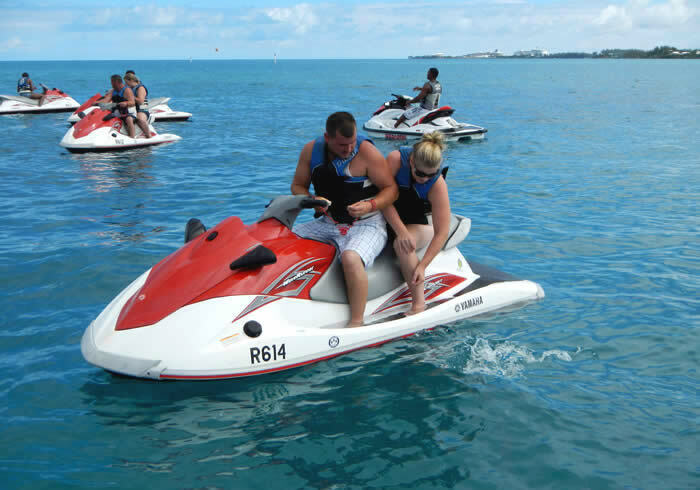 Each double person Jet Ski must not exceed the combined maximum weight limit of 375lbs. If you are unable to pull yourself back up onto a jet ski in a deep water boarding situation, then this activity is not recommended for you. Jet Skis are meant to be driven fairly fast and at minimum safe speeds of around 35+ mph. These speeds ensure that your Jet Ski is stable in the water at all times and turns and drives smoothly and correctly when applying throttle/acceleration. 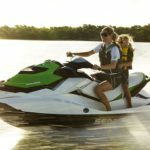 If you have any doubt that you can drive a Jet Ski at these minimum safe speeds, then it is highly recommended that you go as a passenger and let another person in your party drive, so you will feel more comfortable while out on tour. 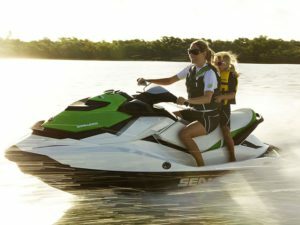 Jet Skis are easier to drive and get up to speeds as a single user (meaning with no passengers). All double person Jet Skis must not exceed a combined maximum weight limit of 375lbs. If going as a triple person Jet Ski, we only permit (1 adult and two small children), and the driver should have prior Jet Ski experience. Please keep in mind that the combined maximum weight limit for a triple is also 375lbs per Jet Ski. 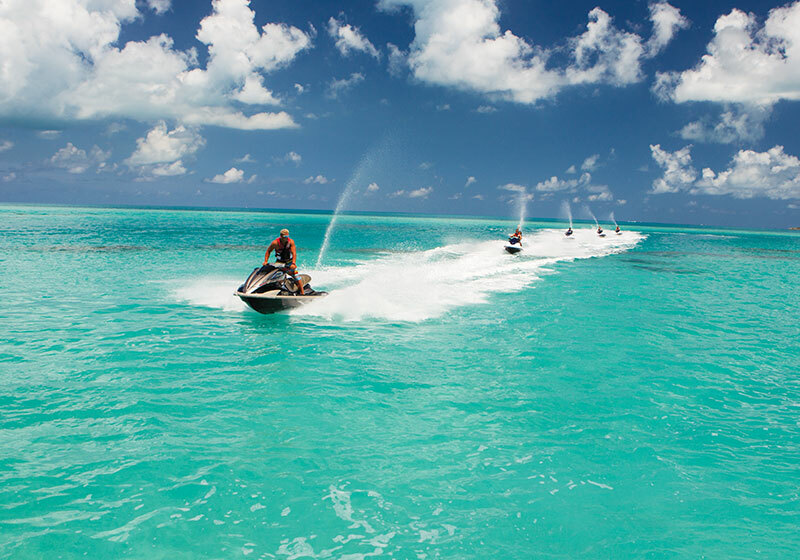 Please see our FAQ’S section on our website for many answers to common questions pertaining to our Jet Ski Adventures & tours. 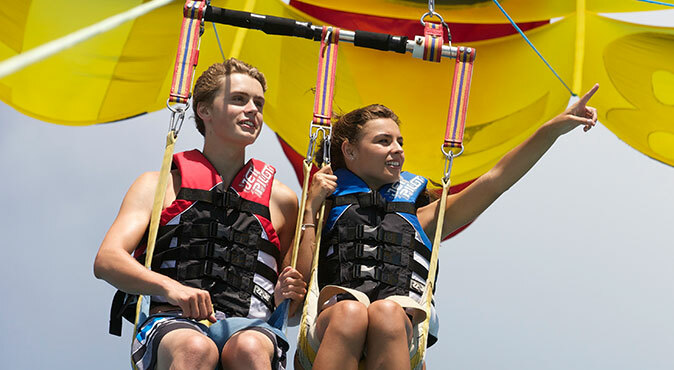 Click Here to see all of our Jet Ski Adventure and Safari tour options.